Muscles aching after a heavy workout? Allergies or stress giving you a piercing headache? There’s an essential oil for that. Mother Nature is the ultimate medicine cabinet, with a natural remedy for almost any ailment. Essential oils are a fantastic way to heal your body and fine-tune the understanding of your own health. 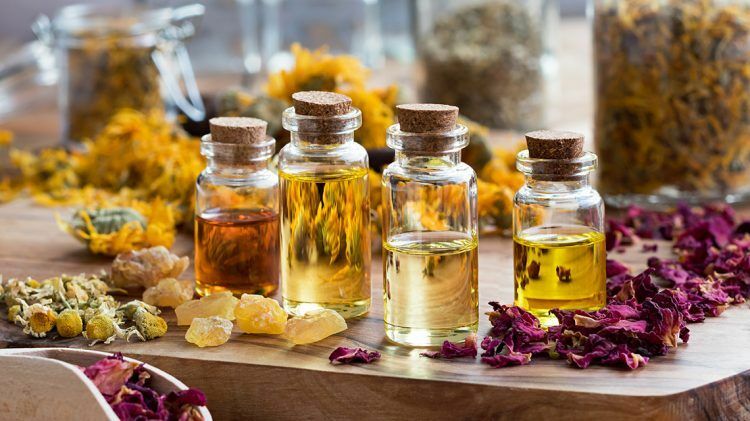 We’ve put together a list of some of the best essential oils to have on hand and briefly explain what they’re good for. Astringent—helps with aging of skin, muscles, intestines etc. If applied topically, dilute the essential oil with a neutral carrier oil (almond, coconut etc.) and always try a test patch on your skin first. If consumed, dilute well with water and do your research; some oils like peppermint are totally fine to take orally and some should not be. Essential oils can also be diluted in a spray bottle and used around the home or put in a diffuser to get the full benefits for the respiratory system. Some can also be used in healthy, homemade shampoos and toothpastes! The quality of the oil will have an impact on its effectiveness, so make sure to look for pure, high quality and preferably organic oils. Please educate yourself on the toxicity of consuming some oils and use your common sense. Essential oils are powerful, distilled essences of plants and should be used with respect. This way you can get the best results for your body and health!